July in the Greenbrier Valley! The Greenbrier Valley is place to be in the coming days! It’s sweet summertime and this area is buzzing with excitement for upcoming events! Flowers on the main street of Alderson, White Sulphur Springs, Union, Lewisburg, Rainelle are blooming bright and so is the Greenbrier Valley! Mark your calendars and come check out all that is offered! 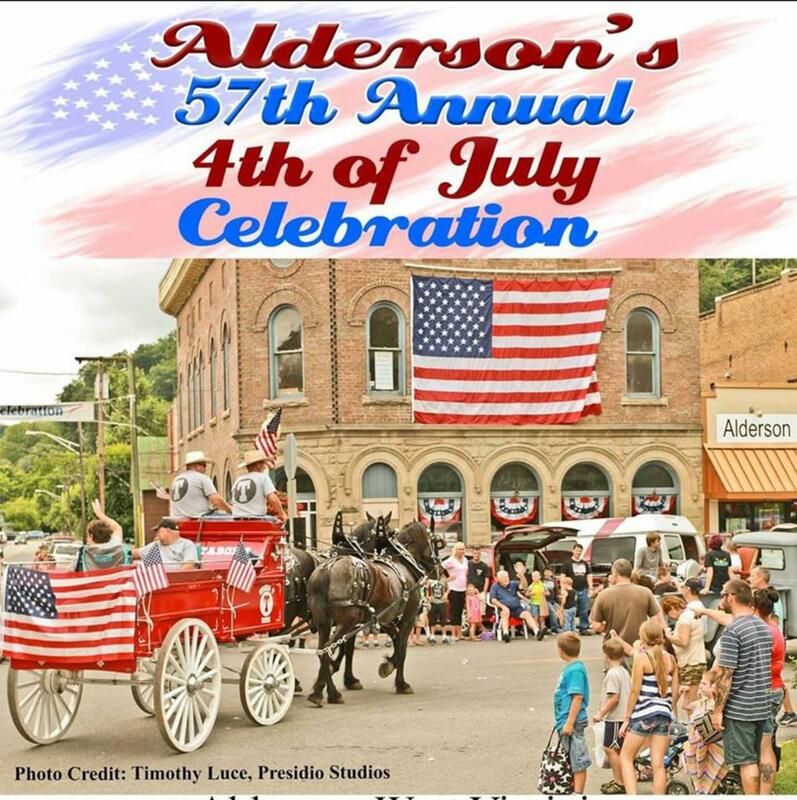 Every year, the Town of Alderson turns red, white and blue and hosts what has become known as West Virginia’s BEST Fourth of July Celebration. This 6-day event features everything from a Fireman’s Rodeo, to an All-American Baking Contest to the Ducks on the River Rubber Duck Race. And, of course, a Grand Parade and Grand Fireworks Display!